Absolute showstopper. Fun to make. Super flavor. For me, there was no better way to celebrate our 2013 Barleywine release today than with a beer-infused, AK Beer Week treat. This was a new recipe for me. I saw it in Cooking Light magazine and KNEW I had to try it. Any flavorful, rich beer would be great in this recipe – try HooDoo Stout, the Vanilla Porter, or English Mild. TIP: After poaching the pears, don’t toss out the poaching liquid. It’s infused with a lovely Barleywine and pear essence. I mean, it is ridiculous! It would be great in cocktails, drizzled on cake or your morning oatmeal, or stirred into yogurt…so be sure to save it. 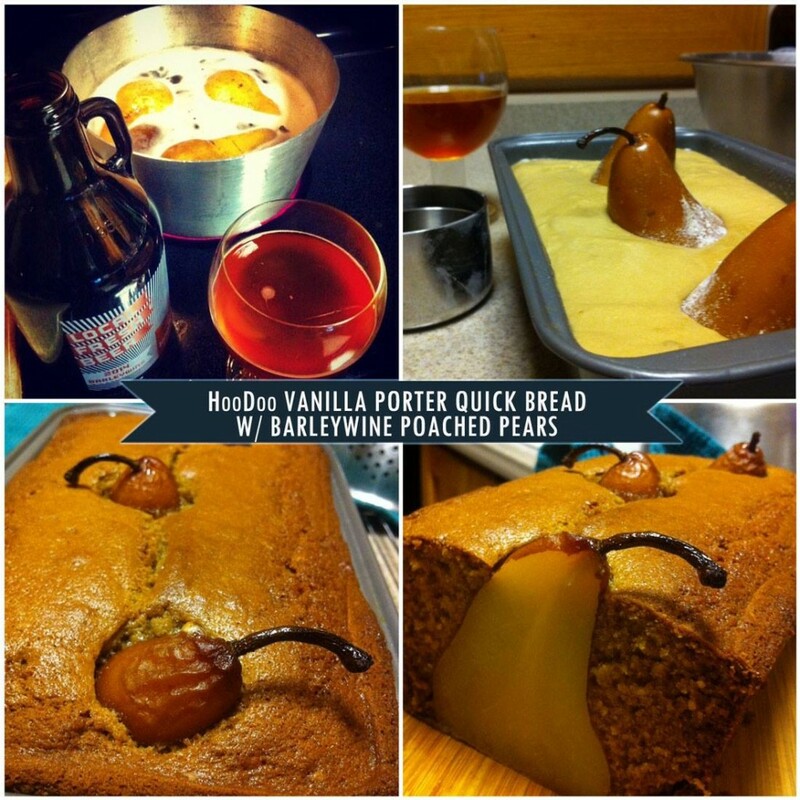 Barleywine for the pear hot tub + Porter for the bread = Beer for the cook.